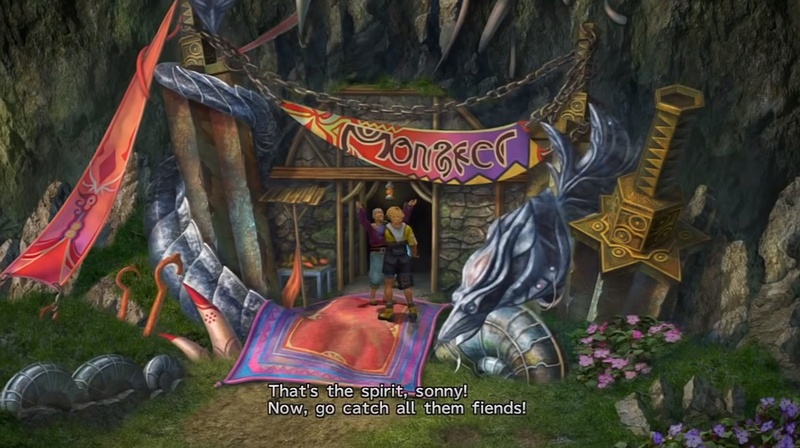 A complete walkthrough for Calm Lands in Final Fantasy X (FFX), including enemies encountered, obtainable items, and boss strategy guides. Al Bhed Primer vol. XXIII Northeast of the map past the Rin Travel Agency representative. 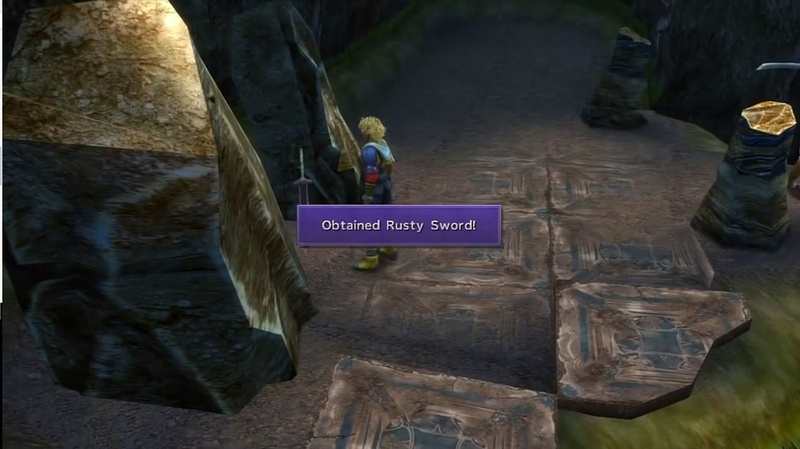 Rusty Sword From the save sphere before the Cavern of the Stolen Fayth, follow the path going southeast. It is behind the crusader practicing with his sword. Megalixir Take the right path in the first forked path in Cavern of the Stolen Fayth. Key Sphere (level 2) Take the right path in the second forked path in Cavern of the Stolen Fayth. Fortune Sphere Take the path going straight from the third forked path in Cavern of the Stolen Fayth. Al Bhed Primer vol. XVV Take the left path in the fourth forked path in Cavern of the Stolen Fayth. Mega Potion Take the right path and follow it going north in Cavern of the Stolen Fayth. Proceed along the path going left. Follow the path going left and talk to Maechen. Move forward toward the outpost to the northwest. Proceed further and battle Belgemine’s Shiva. Arrive at the outpost and watch the cutscene. Talk to the party, talking to Yuna last. Head to the next area on the northeast corner of the map. Reach Mt. Gagazet by taking the bridge going north. A host of strong enemies are encountered in the Calm Lands, including the infamous Marlboros. These are known for their Bad Breath attack which inflicts various status effects on the party. Other notable enemies are Anacondaurs and Coeurls, which are capable of petrifying their targets. Have Soft at the ready or have Soft Ring equipped. Chimera Brains are another strong enemy in the area but are extremely weak to thunder and ice spells. To deal with Ogres, bombard them with fire spells when they “put up their dukes.” Attacking them with physical strikes at this time causes them to retaliate with a powerful counterattack. Marlboros are extremely difficult to take down because of their high HP and their Bad Breath Attack. This inflicts several debuffs like Silence, Darkness, Slow, Poison, Confusion and Berserk. You can have Kimahri learn the attack by using Lancet on a Marlboros. They are weak to fire magic. You can also use Provoke to prevent Marlboros from using Bad Breath, making the fight much easier. Alternatively, you can summon an Aeon to fight Marlboros, as Aeons are not affected by Bad Breath. The first part of the Calm Lands is pretty straightforward, as you only need to reach the outpost in the northwest. You can recruit the NPC at the outpost to the Blitzball team as well. Afterward, travel to the northeast corner of the map to battle Defender X. After defeating the boss, take the bridge north to reach Mt. Gagazet. Some items to collect include Al Bhed Primer vol. XXIII found past the Rin Travel Agency representative to the northeast. You can also find two chests to the southeast to get 5,000 and 10,000 Gil. 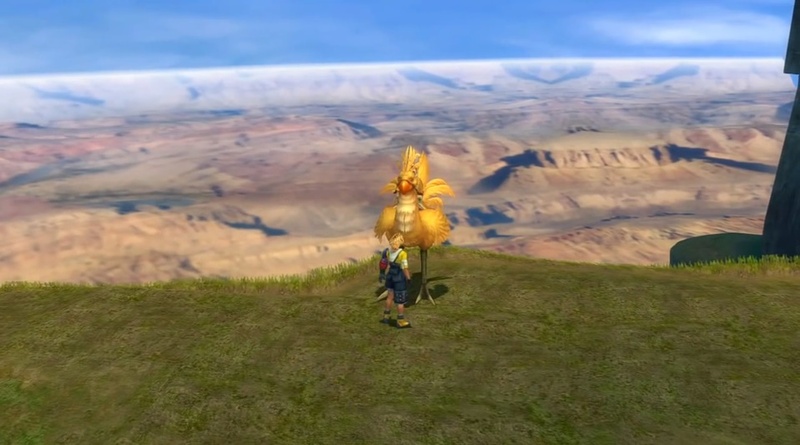 If you obtain a Chocobo from the trainer to the northwest, you can reach Remiem Temple by going to the starting point of the Calm Lands and heading down the path to right. Jump down when you see the Chocobo feather to reach the temple. Cross the bridge and head to the left of the building to get Al Bhed Primer vol. XXIV. Belgemine appears on the northwest end of the map before you reach the outpost. Before fighting her, you may want to have a fully-charged Overdrive for Yuna to make the battle quick. Summon Bahamut and attack with Mega Flare. From there, use Impulse and normal attacks until you can use an Overdrive again to defeat Shiva. You will obtain 30 Power Spheres and an Aeon’s Soul for winning the battle. After defeating Belgemine, she will relocate to Remiem Temple as part of the Remiem Temple Sidequests. When the battle begins, have Tidus cast Provoke on Defender X. 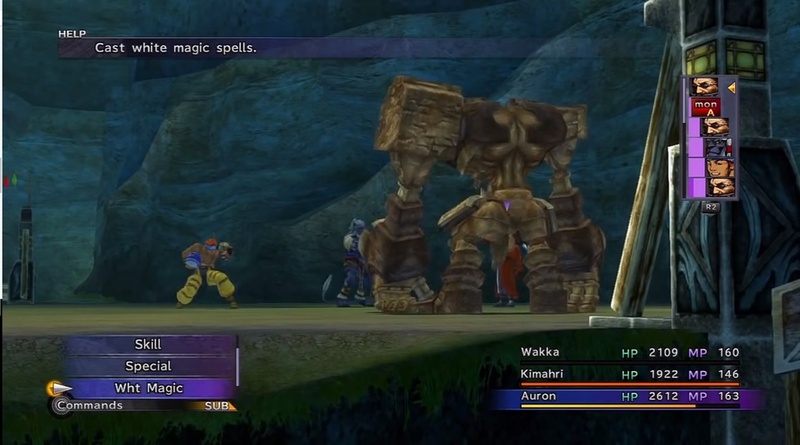 This causes the boss to only attack Tidus while the rest of the party can freely attack. Just remember not to switch Tidus out with another party member and the boss should be easy to defeat. You can have Auron use Armor Break to make Defender X even more vulnerable to physical attacks, though the fight is still likely to last a while, as the boss has very high HP. The Cavern of the Stolen Fayth can be accessed after defeating Defender X. From where you fought the boss, follow the path on the left until you come up to the save sphere. The entrance to the cavern is up and left from the save sphere. Before heading there, follow the path southeast and get the Rusty Sword behind the practicing crusader. Return to the save sphere and enter the cavern. Upon arriving in the cavern, move toward the forked path and make a right to get a Megalixir. 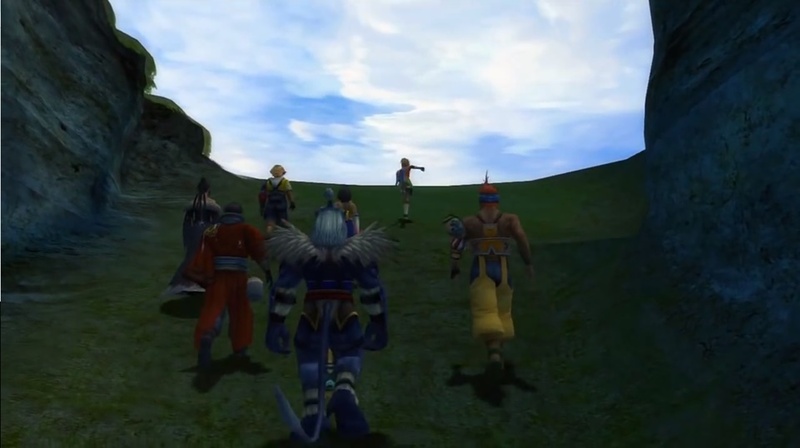 Proceed further for a cutscene. When you come up to another forked path, take the path on the right to get a level 2 Key Sphere. Backtrack to the previous forked path and take the left. You will come up to another forked path. Going straight takes you to a chest with a Fortune Sphere. Backtrack to the forked path again and take the left path. At yet another forked path, turn left to get Al Bhed Primer vol. XXV. Go right and follow the path going north to get two Mega Potions. Yojimbo is at the end of the other path. It is good to have Overdrives fully charged when engaging Yojimbo in order to take him down quickly. Do not let him charge his Overdrive by bursting him down with attacks. 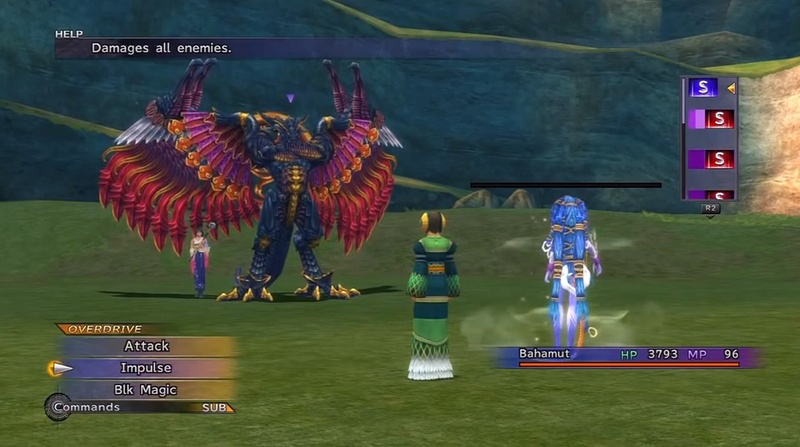 You can also use Bahamut to deal massive damage. Yojimbo will initially ask a high price of 250,000 Gil to join you as one of Yuna’s Aeons. You can haggle with him by offering half of his requested fee plus 1 Gil. Do this two times until he gives a third offer. Remiem temple is found southeast on the map. 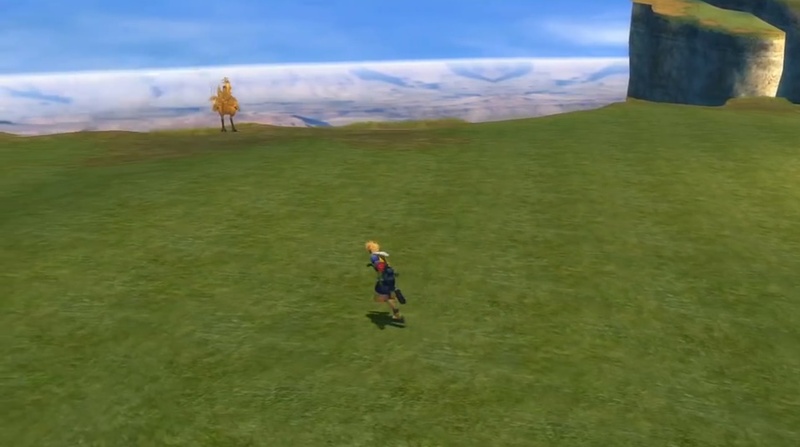 Ride a Chocobo to jump down the area to the left of the Calm Lands’ starting point. 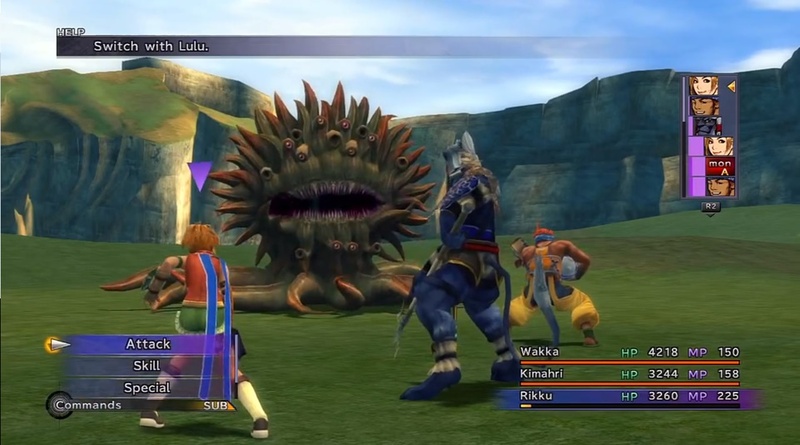 The area features sidequests related to Aeons, including one for obtaining the powerful Magus Sisters summon and the Moon Sigil required to craft Yuna’s Celestial Weapon. You can head to the northwest edge of the map to find a woman training Chocobos. 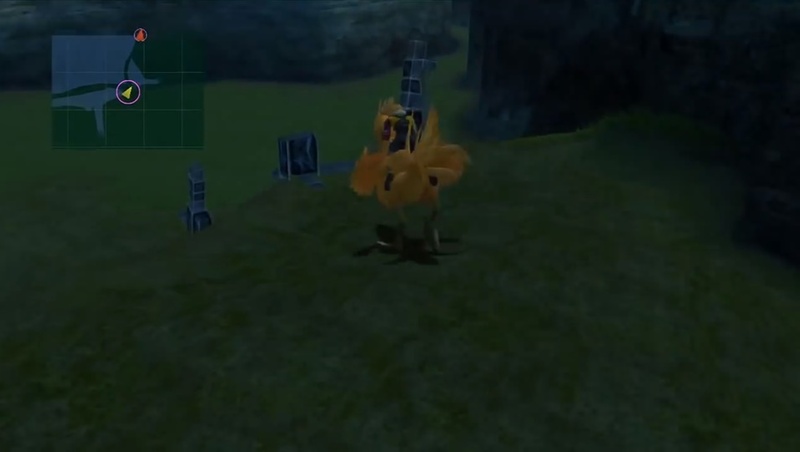 Complete the first exercise to be able to ride a Chocobo on the Calm Lands. You can choose to complete the exercises and race the woman to win rewards. Getting a time of 0:00 by getting all the balloons on the course lets you obtain the Sun Sigil required to craft Tidus’ Celestial Weapon. The Monster Arena is a mini game west of the Calms Lands where players can capture various fiends using special capturing weapons. Once caught, they can be fought in the arena by paying a fee. Special species of monsters caught can be encountered by asking Trema to breed them. This will award you with special items. Note that spending time in the Monster Arena allows you to obtain the Mars Sigil required to craft Auron’s Celestial Weapon.